You may have experienced the frustration that a blown out tire can cause. Not only can it be dangerous, but afterward the actual changing of the tire can be incredibly annoying. Why not let a professional do the job for you? When you call Toro Road Runners, a qualified towing technician can be by your side ready to provide you with the best flat tire change services in the East Bay. It doesn’t matter what make or model your car, motorcycle, or truck happens to be. If you live in the San Jose, San Francisco, or Oakland areas, we have can conduct a flat tire change in record time! You can trust that our company will be there when you need us, even in a roadside emergency situation where you might need a flat tire change in the East Bay. That’s because we’re licensed and certified. We believe in providing trustworthy services to all East Bay residents because we genuinely care for the local community. We don’t just offer flat tire changes though. 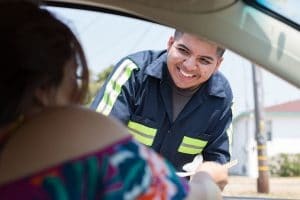 We also offer a broad range of other roadside assistance services, as well as auto locksmith services and auto towing services in the East Bay. For a list of just some of these, please see immediately below. In case of an emergency, as when you’ve had a wreck, you may need to have your vehicle transported to a garage. Even if it’s not an emergency and you are simply moving…you might need long distance towing services. Any time you need to have your vehicle transported, you can trust that Toro Road Runners services in the East Bay are available when you need them. Our tow truck fleet is up-to-date, and we use only the best equipment to ensure that when we transport your car, motorcycle, or truck, we do so keeping its safety and condition in mind. In addition to our auto towing and our ability to provide a flat tire change in the East Bay, we also provide a wide range of auto locksmith services. Each of these is designed to get you back in your car and driving as fast as possible. From rekeying your car’s locks, to picking the lock (as when you’ve accidentally locked your keys in the car), to making a new set of keys or programming a key transponder, Toro Road Runners’s auto locksmith services in the East Bay are simply unmatched.